The Boeing Company’s plans for its CST-100 spacecraft continue to firm up as the aerospace company works with NASA’s Commercial Crew Program (CCP) to establish what will be needed to communicate with the spacecraft and recover it when it returns from a mission. The capsule-shaped spacecraft is on track to launch to low-Earth orbit atop a United Launch Alliance Atlas V rocket from Florida’s Space Coast around the middle of the decade. It is designed to hold enough crew members to allow the spaceship to operate as a taxi and lifeboat on missions to the International Space Station. 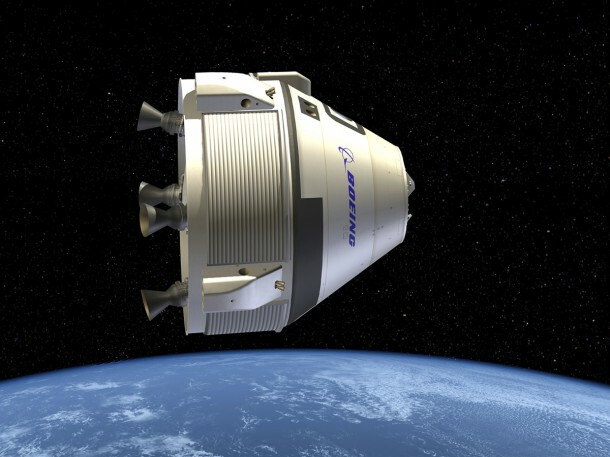 The company, one of three NASA is working with to establish a commercial industry to ferry astronauts to and from the orbiting laboratory, recently completed its fifth performance milestone and two in-depth reviews as part of the CST-100’s development. The latest review milestone under the funded Space Act Agreement with NASA during the Commercial Crew Integrated Capability (CCiCap) initiative at Boeing’s facility in Titusville, Fla., established the baseline plan for the equipment and infrastructure needed to run spacecraft ground communications and landing and recovery operations. The company also completed back-to-back production design and “phase 1″ safety reviews in November, which allowed agency managers and engineers to analyze safety and support systems being designed for the CST, short for Crew Space Transportation. 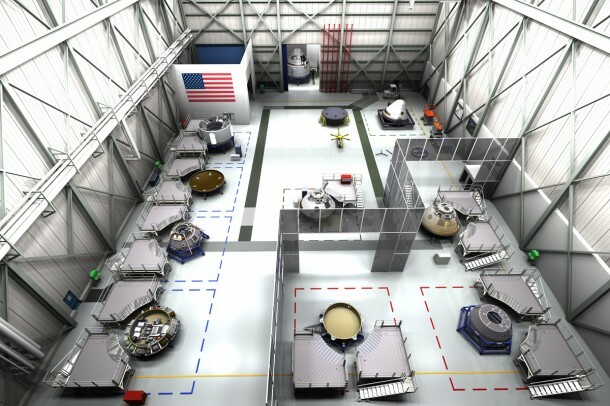 The third review covered Boeing’s progress in developing the ground portions of mission operations software. The design of the CST-100 resembles NASA’s legacy Apollo command and service modules. However, the CST-100 crew module is larger with a greater habitable interior with the capacity to carry up to seven astronauts or four astronauts and cargo, compared to the three sent on the lunar missions of the 1960s and ’70s. 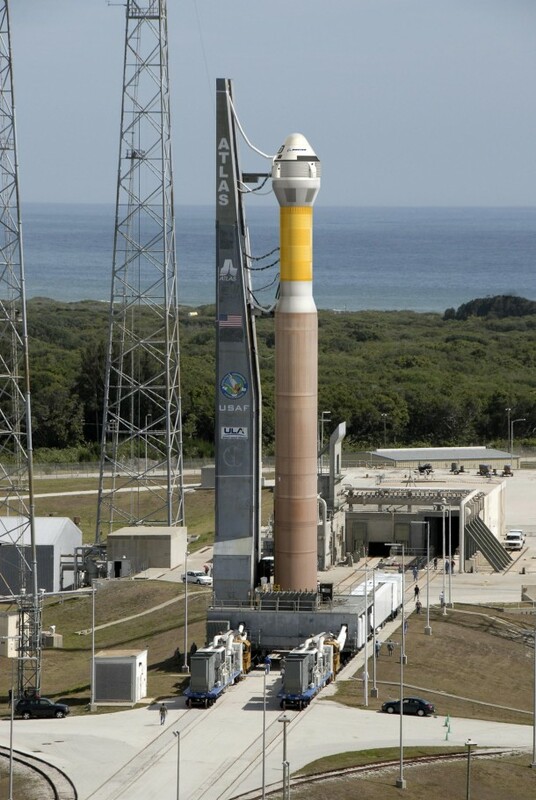 It also is designed for reusability for up to ten missions. The service module is considerably smaller than Apollo because it doesn’t need a propulsion engine capable of getting it back from the moon. That also reduces the amount of equipment and consumables necessary for exclusively low-Earth orbit missions. Recent analyses of landing systems have taken place in Delamar Dry Lake in Nevada, proving the CST-100 can return to Earth with three parachutes, as was the case in Apollo. Just prior to landing, air bags will deploy on the bottom of the spacecraft allowing a safe touchdown on the ground. To add flexibility, the CST-100 also can return for a water landing. Boeing currently is on schedule to complete a total of 19 milestones during the base period of its CCiCap agreement. The company will be designing both flight and ground systems hardware, writing and testing code for flight software, developing ground communications systems and performing wind tunnel tests. All of the work leads up to a Critical Design Review scheduled for April 2014 prior to optional qualification and flight demonstration milestones. NASA’s new CCiCap agreements follow two previous commercial endeavors by the agency to spur the development of crew transportation systems and subsystems. Work by NASA’s industry partners during CCiCap will set the stage for a crewed orbital demonstration mission around the middle of the decade.